EMMANDUS INSPIRATIONAL NETWORK! 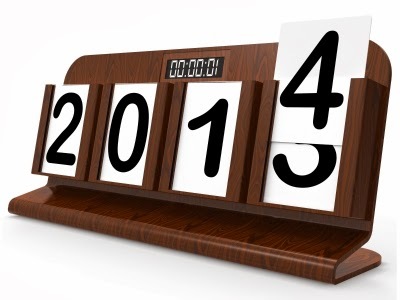 : 7 Quick Things you can still do as the year ends! 7 Quick Things you can still do as the year ends! Gradually the year winds off to a wonderful end, thank God for the gift of life. However, the emotions that this brings can either be of two types, one of exciting fulfillment or the other which is of frustrated disappointment. About a week ago I came up with some tips while updating my end of the year to-do list and I have decided to share them today. As I write this piece, we have just about 2 days 7 hours and 30 minutes to the end of the year, and I believe the following to-do lists can still make a positive difference. 1.Review your year-round goal: Virtually everyone has a goal or resolution at the beginning of the year.This is point you need to review your entire goals and tick off the ones achieved, my mentor's article previously shared will be very helpful in this regard. 2. Plan and set new Goals: Having gone through your goals and seeing where you have gone wrong with your old goals, now is the time to plan and set fresh goals for the new year. You need to start now to re-strategize and re-calibrate yourself. 3.Pay up and settle old debts: I grew up from the background where it's said half-jokingly 'Do not go into the new year with an old debt" Well there just might be an element of truth in that. These few days might not be enough to pay off all your debts, but it might be just enough to settle some vital outstanding debts. There is an "I-have-scored" feelings you get when you do certain things, settling a debt might be one of them. 4. Invest the remaining time: It's not really how much time you had but the impact you make in the time you have. Invest this short time in learning a new skill, in learning a new computer application, writing a new programme, reading a book or researching or joining a new venture. 5.Do More Positive stuffs: The fact that the year is going to an end isn't enough reason to quit and give up on all thibgs positive and good that you would or might not normally do.Do more positive things, meet more people, network more, go where you have never gone before,build bridges, plant a tree,do some charity works, visit the orphanage or the old people's home,mend broken relationships, do what you have never done before- so far it's good and positive and it contributes to your positive self image. 6.Make more money! : Yeah! It feels good making money legally, especially when you make it doing what you like doing.Money is essential to life, and when else will some extra cash be appreciated if not in the festive period as this.Make some money if you can. Budget and set your financial records straight as the year ends. 7. Be thankful and Grateful: In everything, we should give thanks to God Almighty. In the remaining days of this year, you should thank God for the wonderful gift of life because it's His grace that has kept us away from all evil throughout the course of the year. I hope this fast tips come in handy as we journey into the new year.